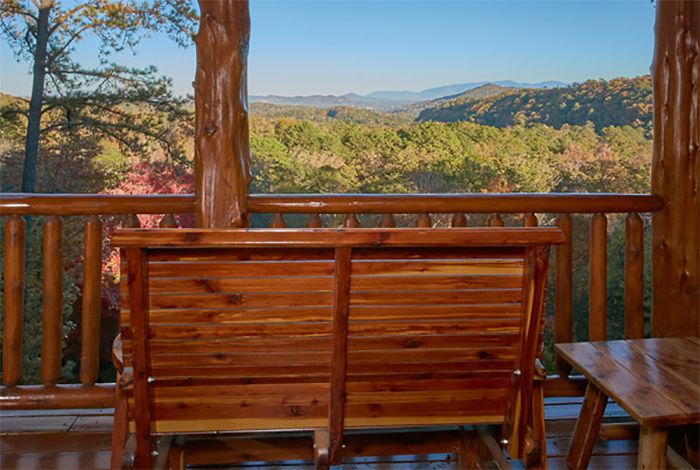 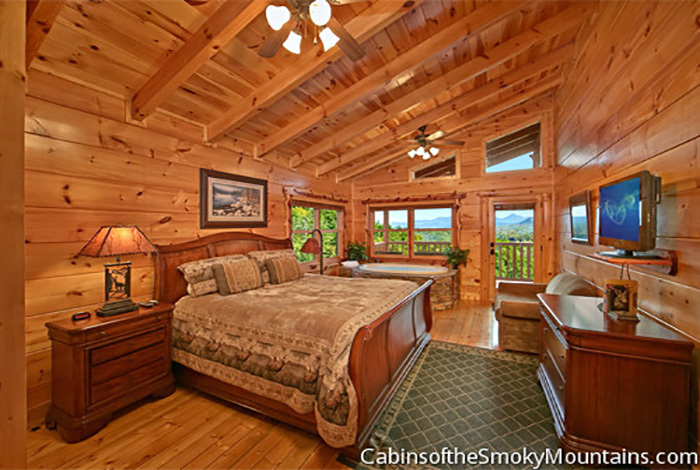 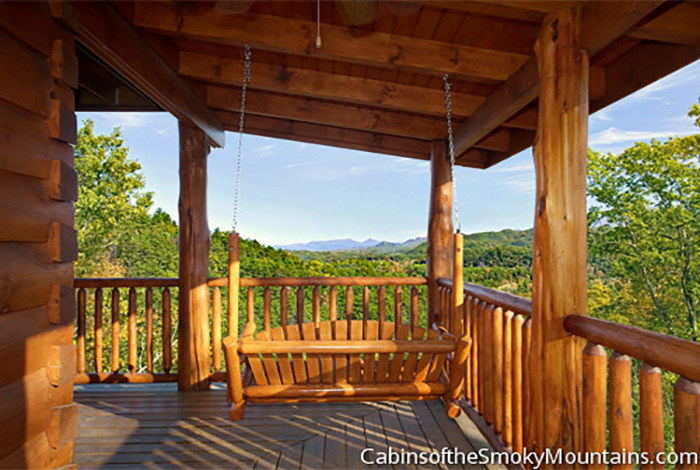 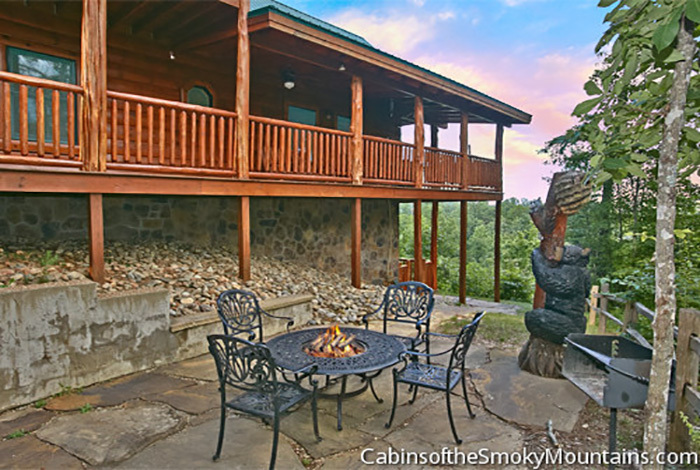 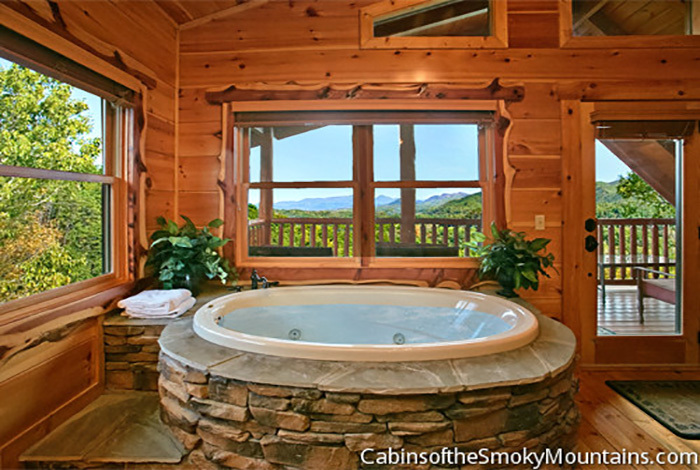 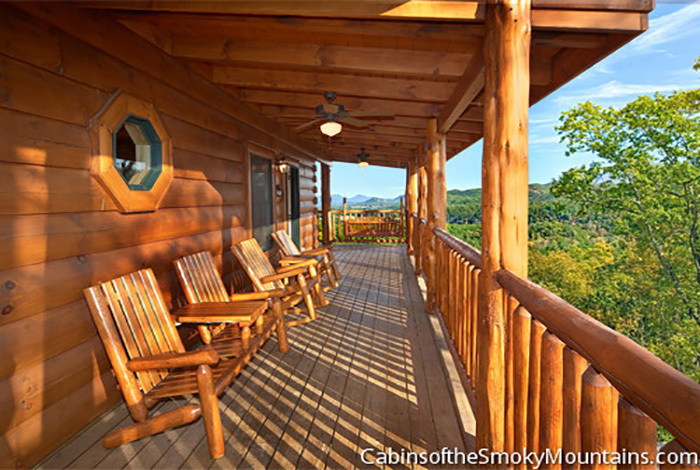 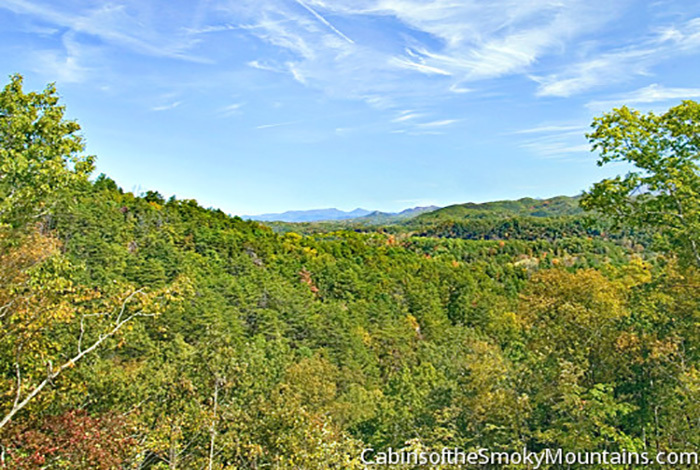 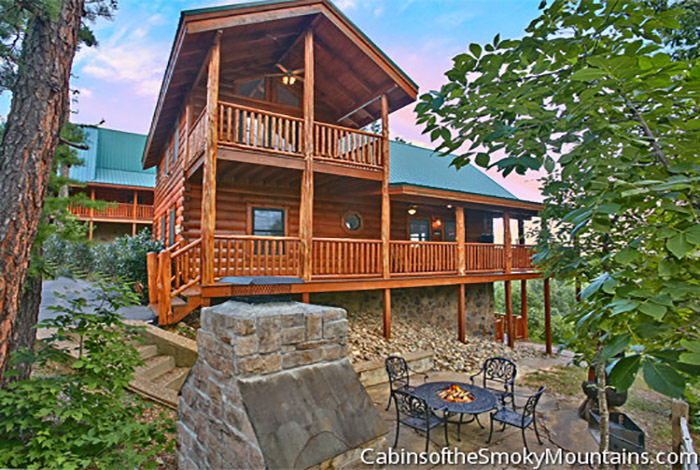 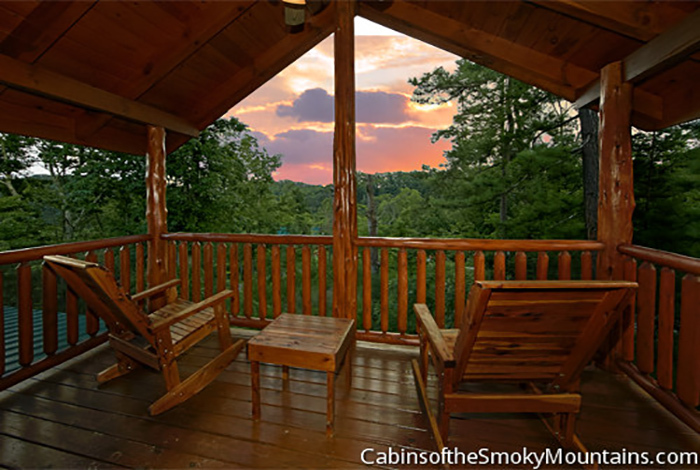 It is time to experience a wonderful Smoky Mountain vacation. 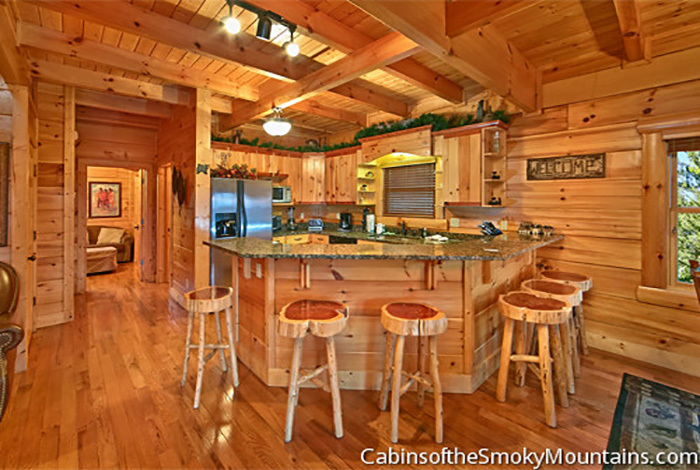 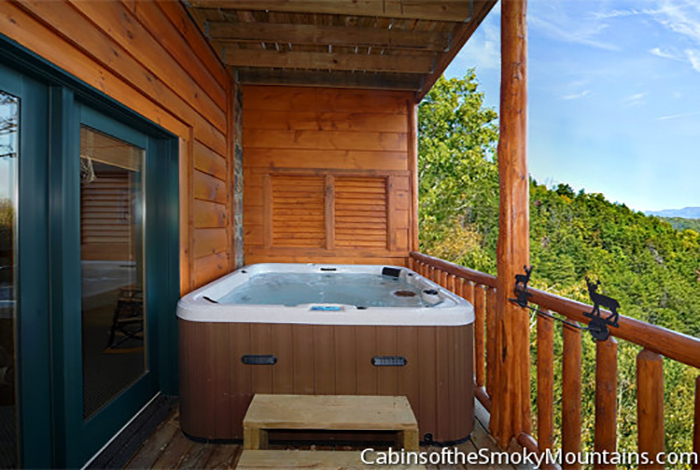 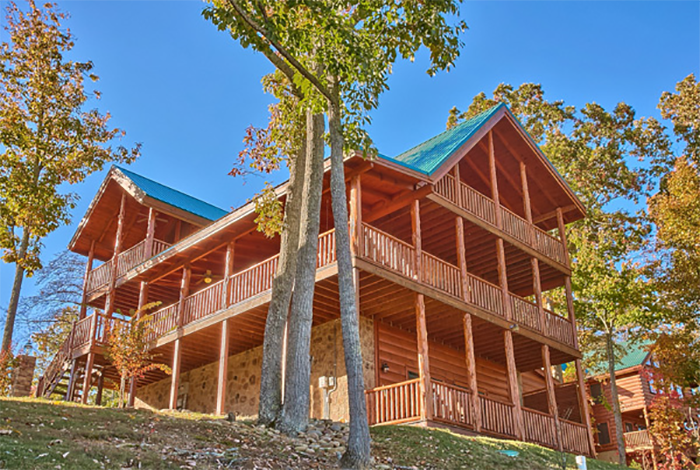 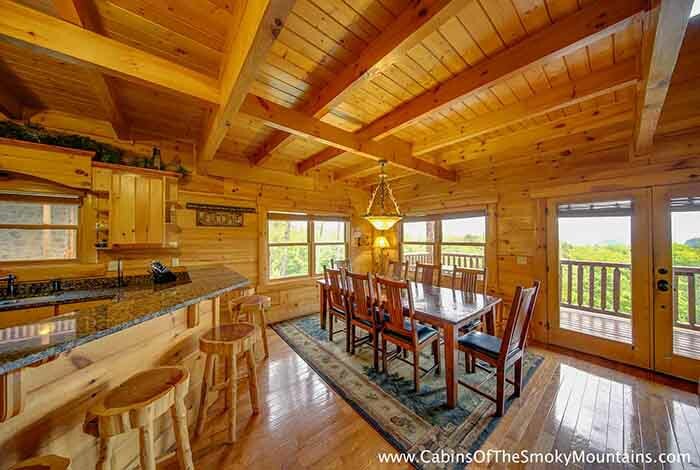 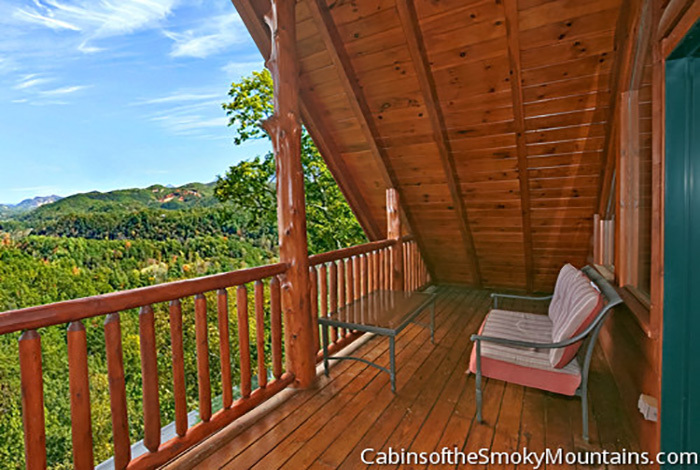 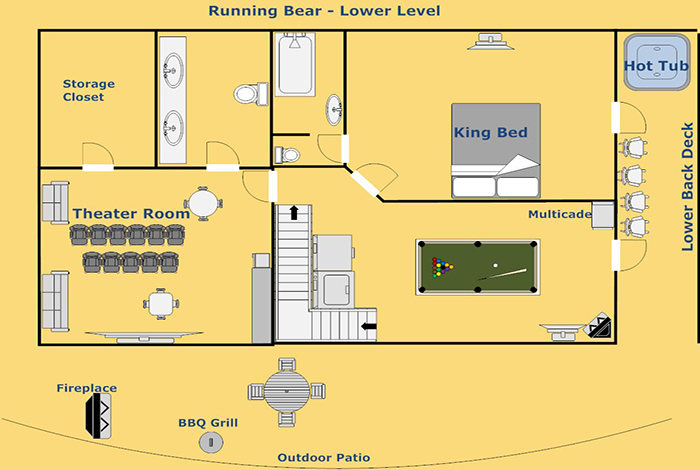 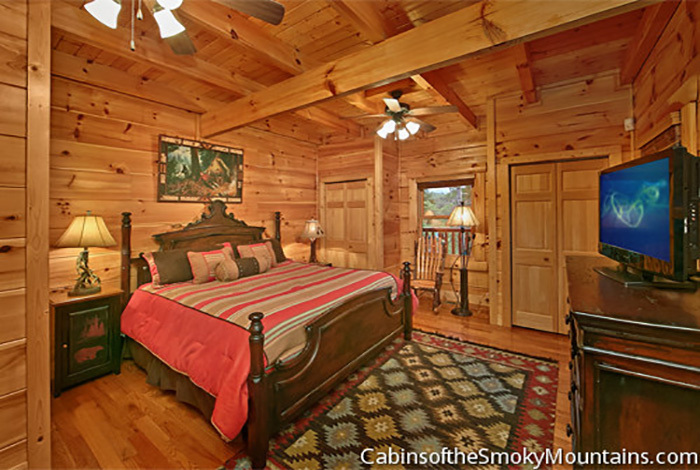 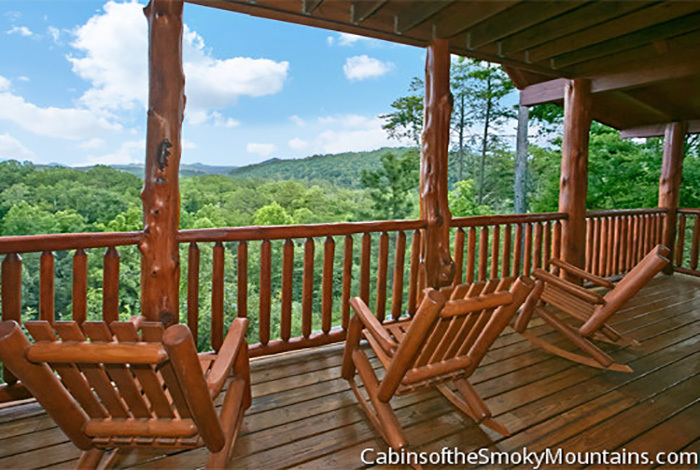 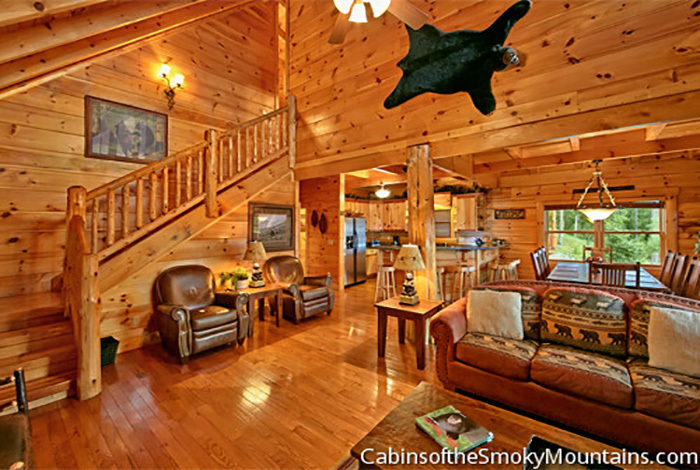 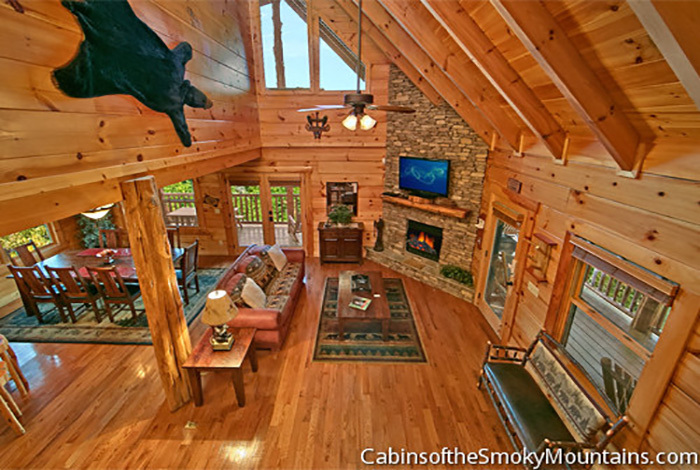 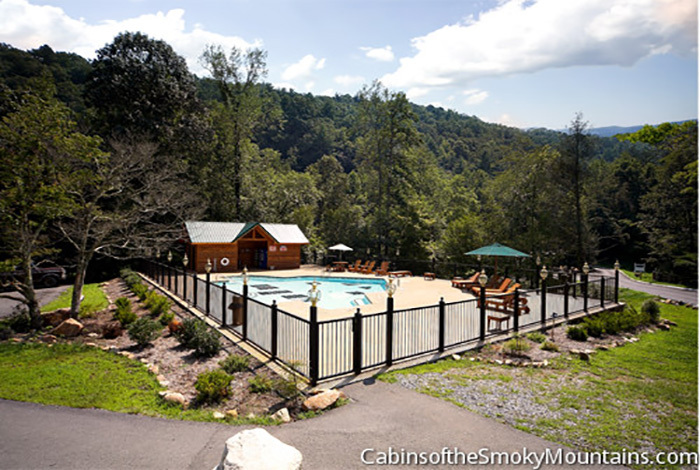 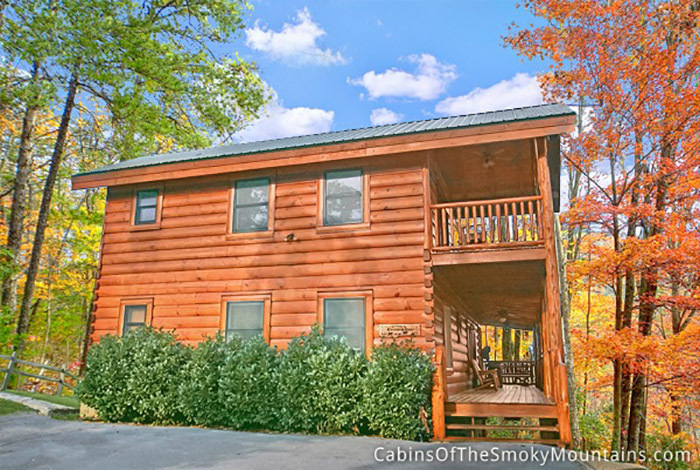 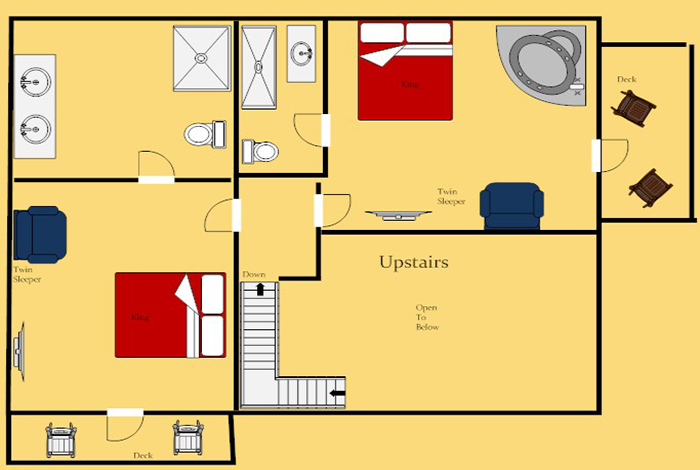 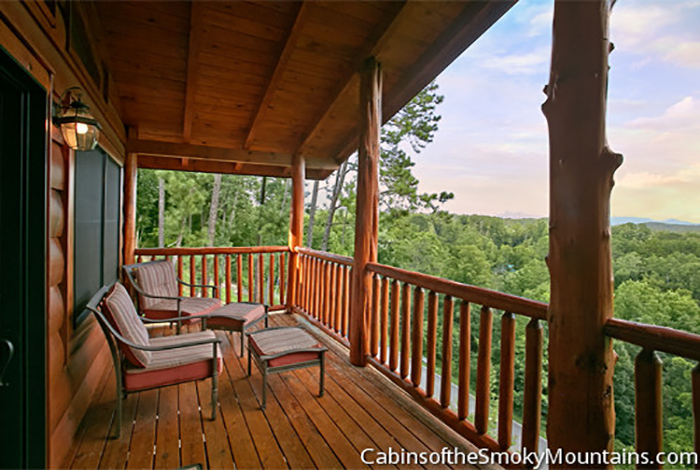 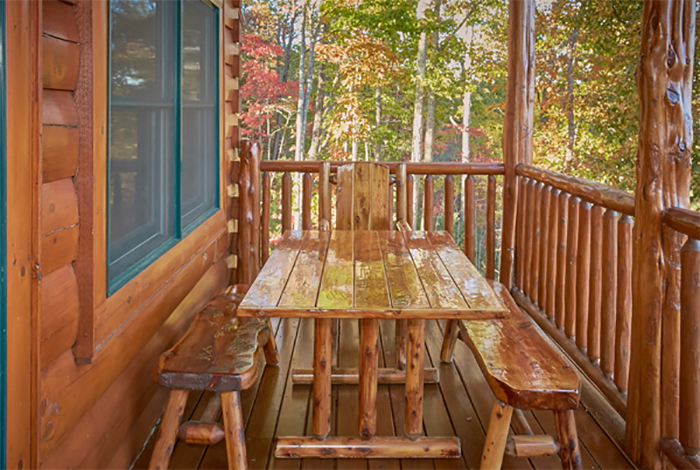 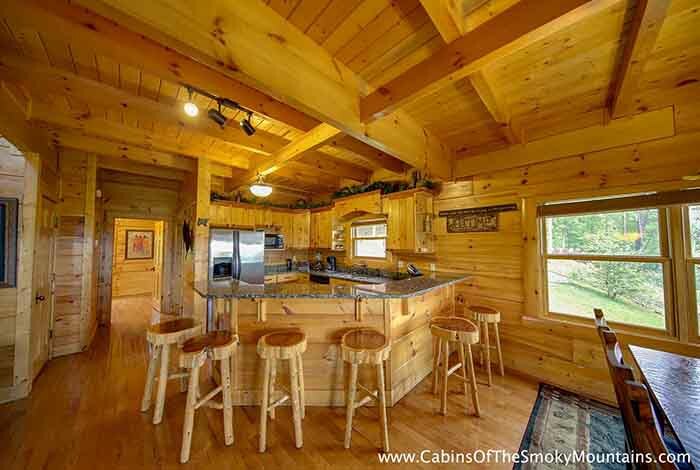 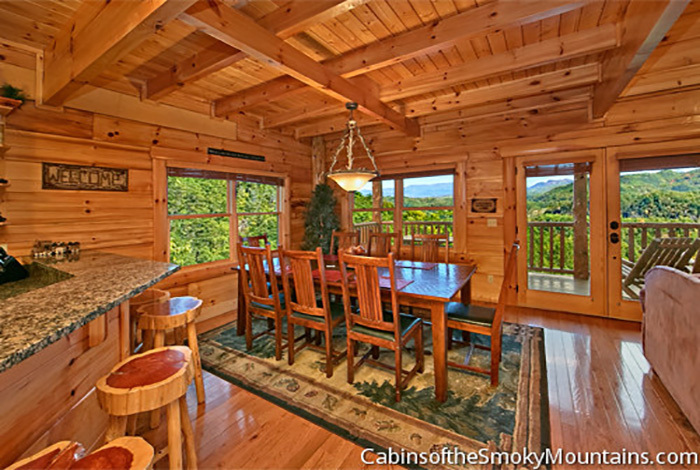 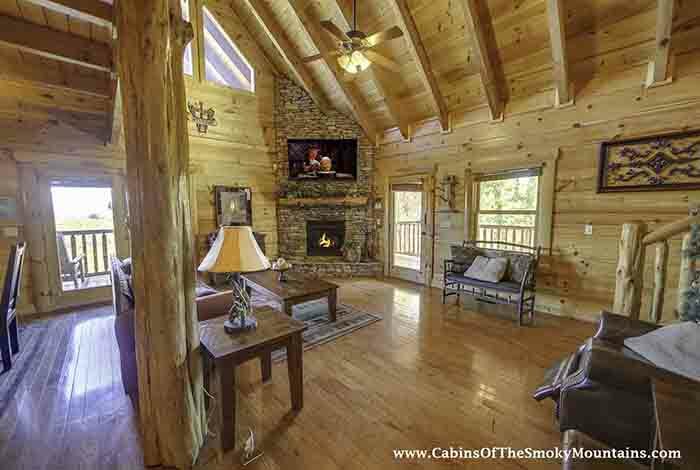 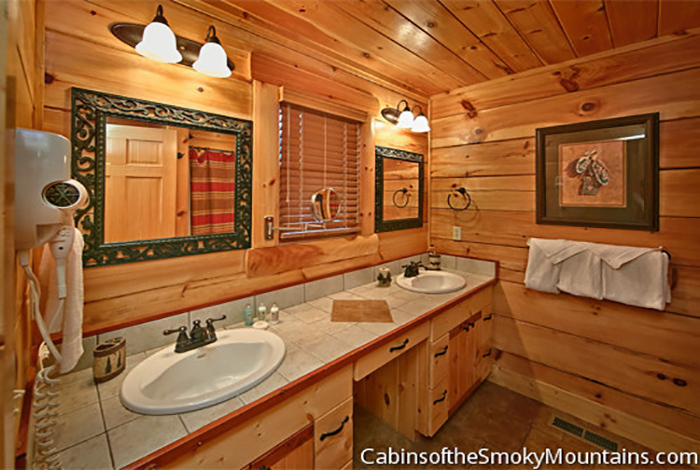 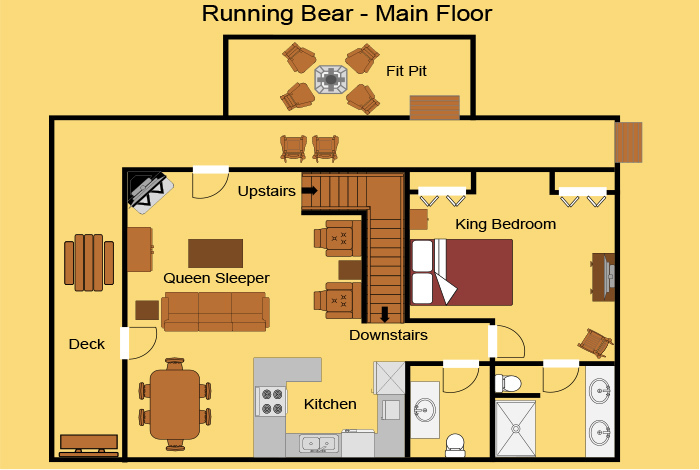 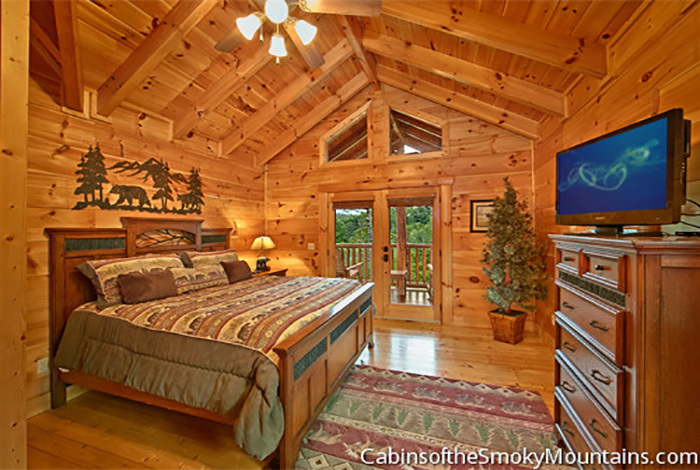 Running Bear is a beautiful 4 bedroom cabin with awesome amenities to die for. 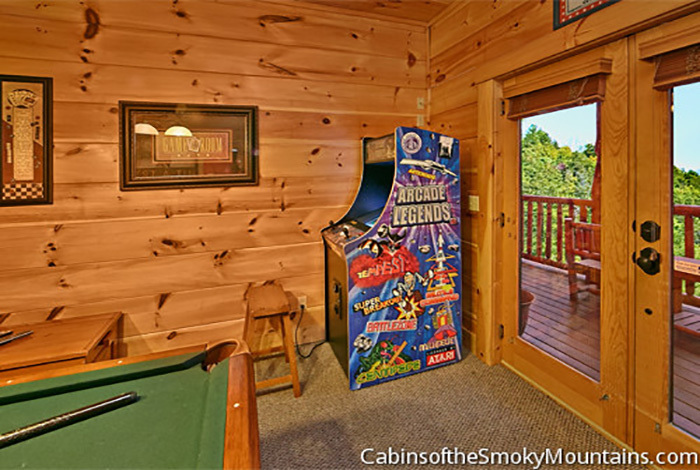 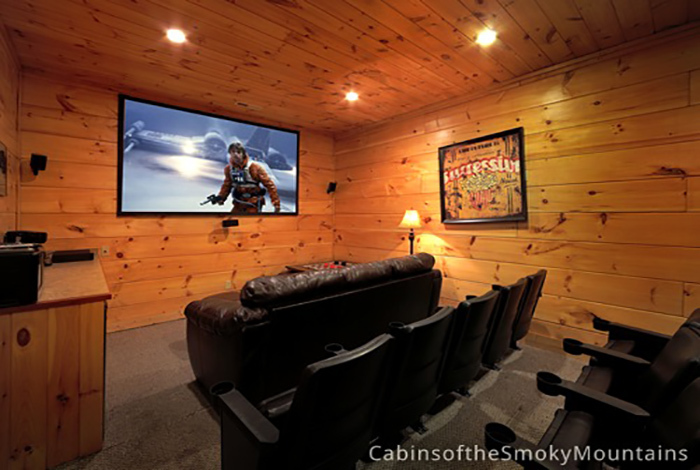 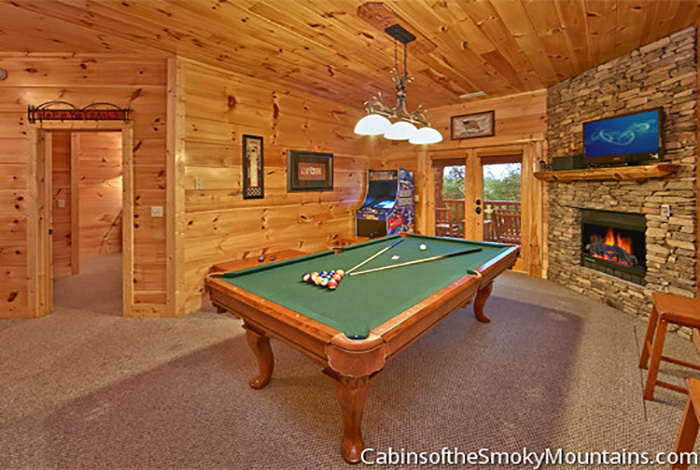 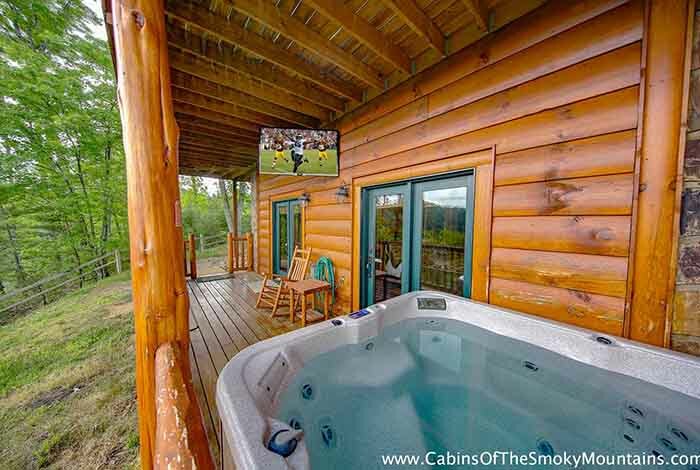 This luxurious cabin has a pool table, arcade games, jacuzzi tub, and a hot tub on the deck. 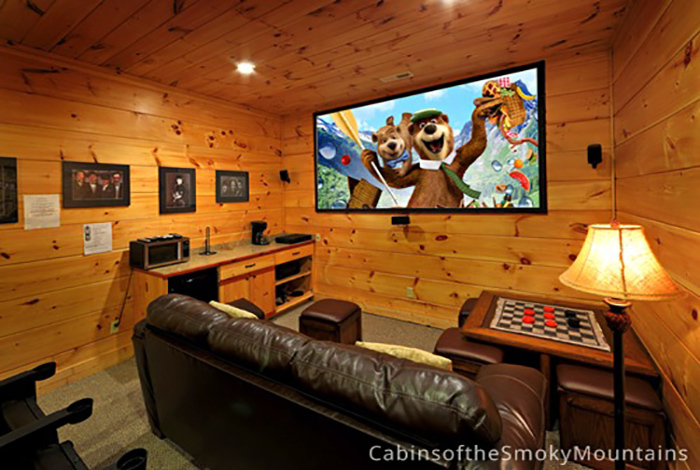 It comes with an amazing home theater to watch movies with the family. 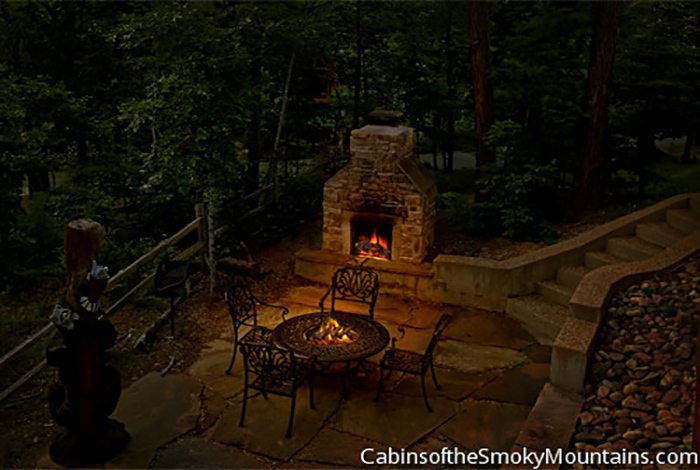 You have your own horse shoe pit, along with a fire pit to snuggle up close with that special someone. 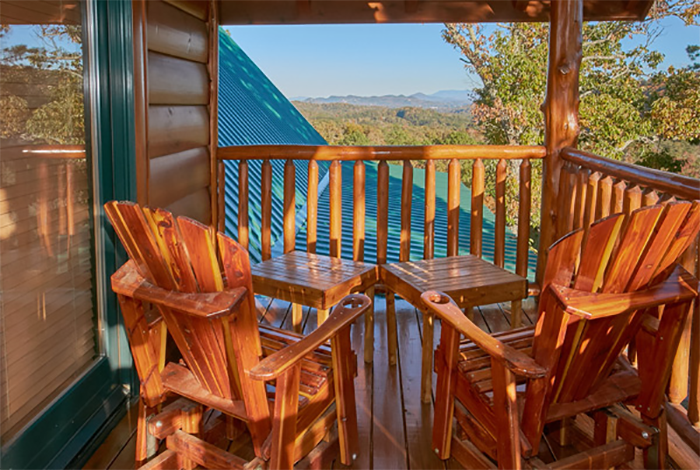 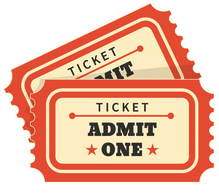 You are minutes away from downtown Pigeon Forge to view all those great attractions such as Dollywood, Dixie Stampede, and Wonderworks. 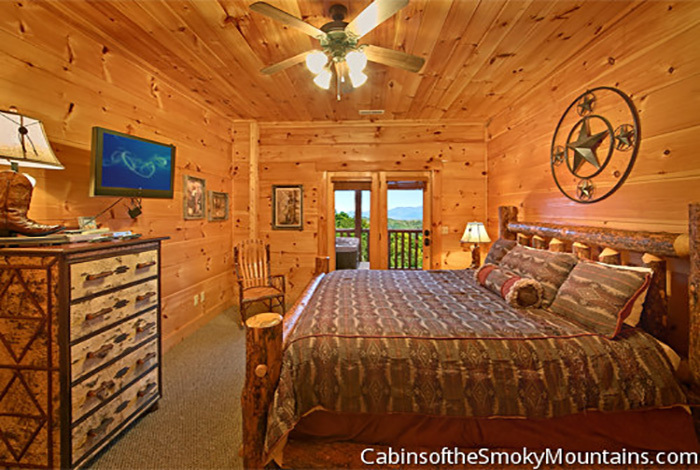 Don't miss out on a vacation of a lifetime.